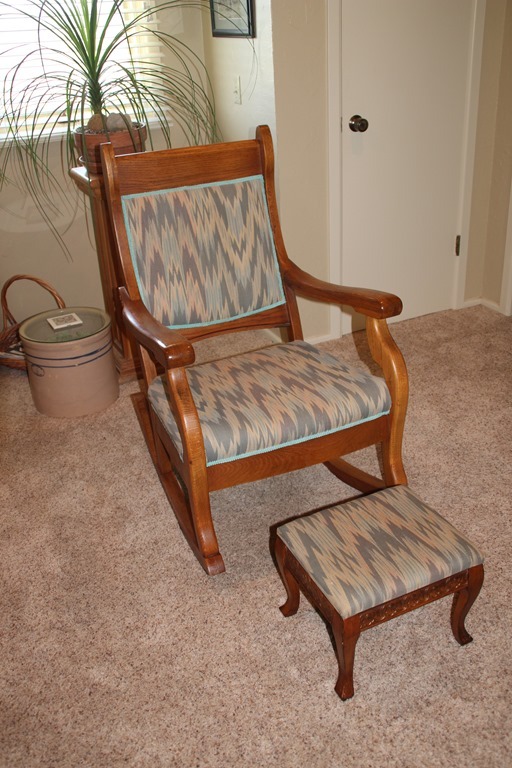 I have an old wooden rocking chair, a family heirloom that I used to rock in with my Grandfather Drum. 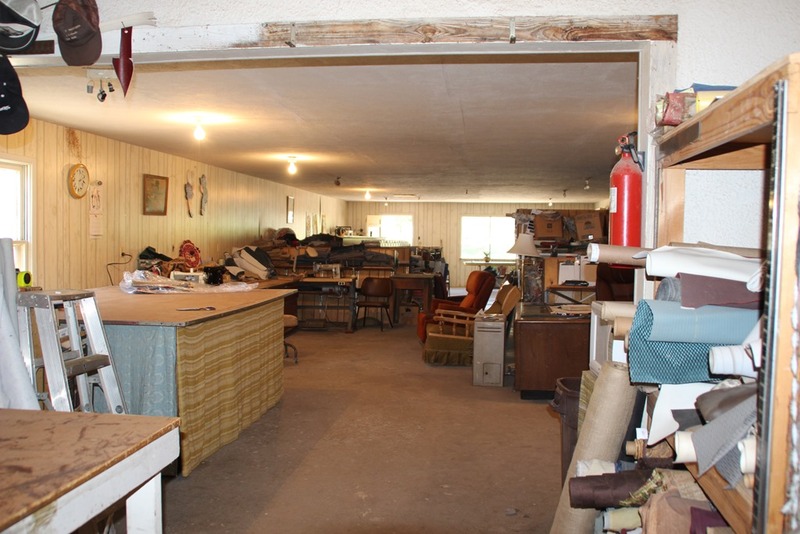 By the time it moved to Muleshoe with us in 1980, the springs had just about given way, the fabric was tattered, and it was time for an overhaul. I gathered it up and took it to Van McCormick, whom I had been told was the man for the job. And he was. He didn’t just do a superficial redo with new fabric; he took everything off and out, replaced the springs, added padding, replaced the fabric, and I could enjoy rocking again. Later he covered my mother’s footstool to match the chair. 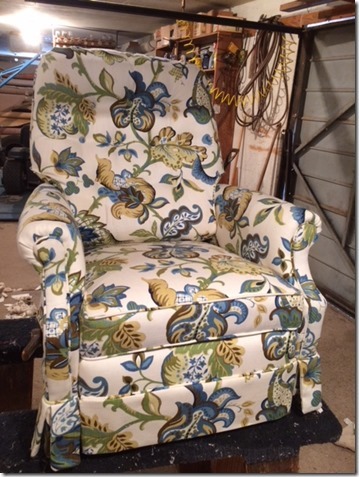 But the next time I want to change the fabric or have the seat worked on, Mr. McCormick won’t be here to give the chair new life. After fifty-seven years of repairing and reupholstering furniture, making and hanging drapes in Muleshoe, Van McCormick is leaving us and moving to Abilene, Texas. I, and all of Muleshoe, for that matter, will be sad to see him go, but the time was right for him to make this change and move on the next adventure in his life. So considering he has been a part of Muleshoe history for all this time, this story is my farewell and good luck gift to him and his wife Betty. 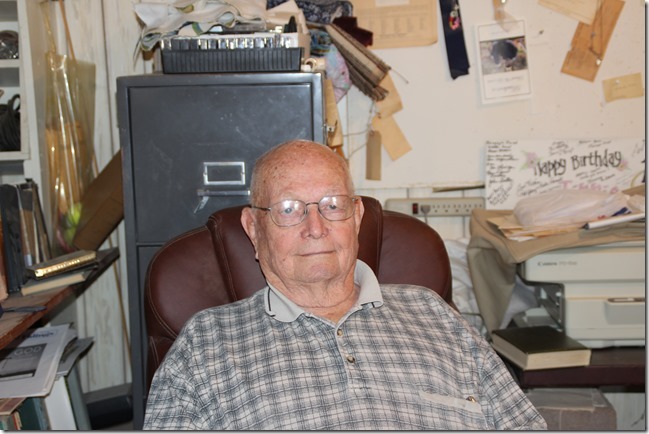 Mr. McCormick didn’t start life in Muleshoe, but he has spent the better part of it here. He was born in Anton and the family moved to Littlefield shorty after that. His dad Leonard had a service station there as well as in other small area towns, where he would get a station established and then sell it and start another. 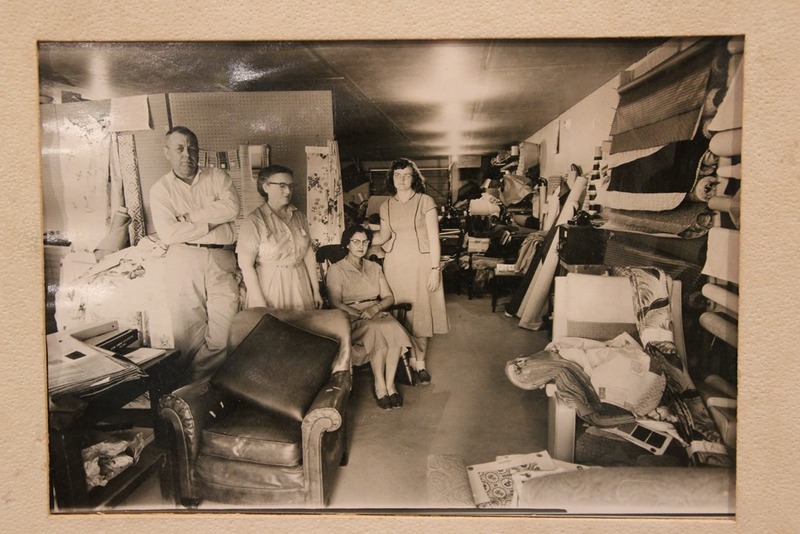 In Muleshoe the family had an auto parts and furniture store. 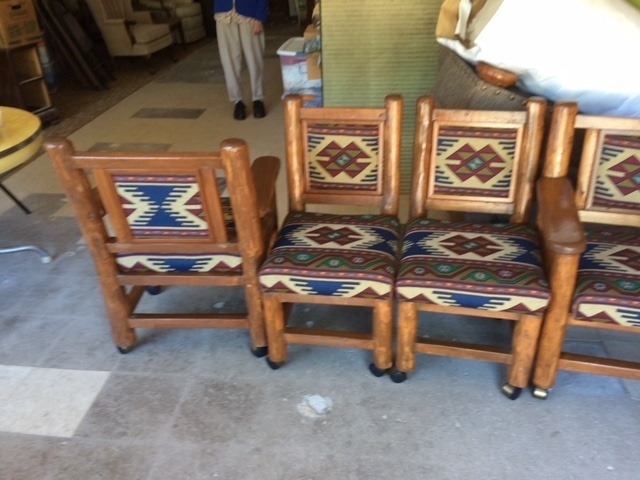 They handled new furniture but also took in used furniture that the employees would redo and then sell. It was during that time that Charles Lenau asked Leonard to make some drapes for his house and Leonard agreed, even though he wasn’t accustomed to making drapes. The deal was that Leonard would make the drapes at no charge for the labor and sell Mr. Lenau the material at cost with the understanding that Mr. Lenau would make sure everyone knew that the McCormicks made the drapes. Van went on to say this was the way his father chose to advertise; word of mouth on a job well done was better than a paid ad in his mind. Based on the quality of their work and the longevity of the business, I would say that was a wise choice. Van helped out in the store, graduating from Muleshoe High School in 1952 and then moving to Kerrville, Texas, to study to be a preacher for the Church of Christ denomination at Kerrville Bible Training Works. He had classes there taught by G.B. Shelburne, father of Curtis Shelburne, an interesting connection to Muleshoe. He met Betty there, and they married in 1954. Later they moved to Amarillo where Van attended more classes taught by Reverend Shelburne. After completing school, Van and Betty moved to Mexia,Texas, where he preached for five years, and then to Lampasas to preach for another two years. It was right about then that Van’s dad became ill and needed help in the store, so Van and Betty moved back to Muleshoe, and, as he put it, [they’ve] been here ever since. 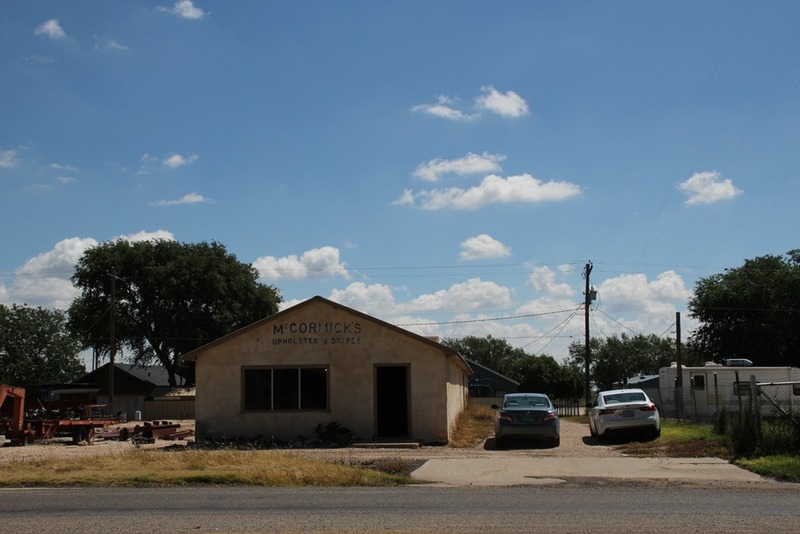 But not just in Muleshoe; Van was preaching at the East Side Church of Christ in Clovis at the time and driving between the two towns. 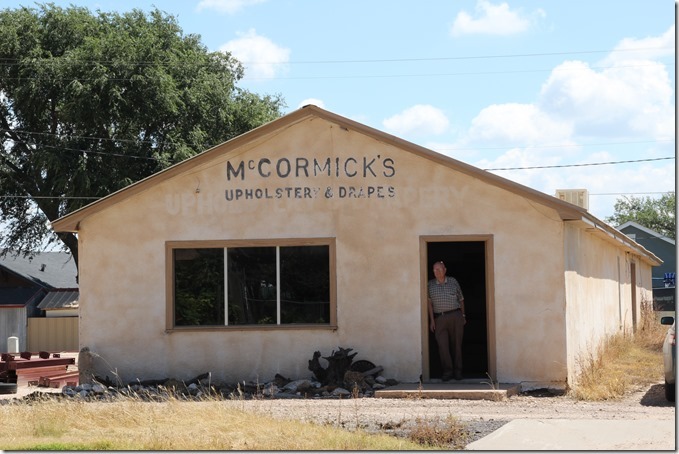 Living in Clovis and driving to Muleshoe turned out to be the best use of his time, and he was able to continue to help in the store with the upholstery-but not with the drapes, he emphatically told me! Nadine Hawkins made the drapes; he just helped hang them. 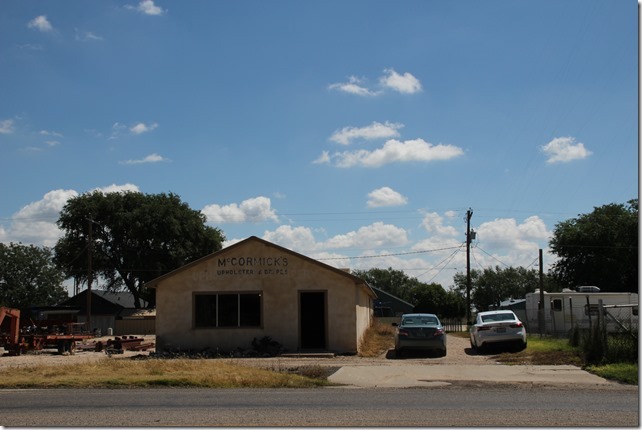 Originally located in three different locations in downtown Muleshoe, the last and current location built in 1955 is this one at 1009 South 1st, also known as Highway 214. 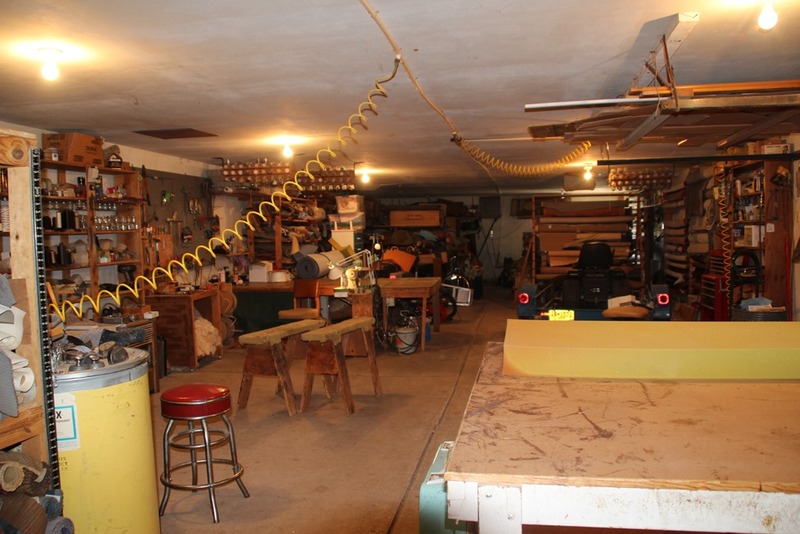 Leonard built the front part of the shop, realized it was too small, and added the back section later. The back section of the shop is where all the work really takes place. This old photo was taken after Leonard added the additional back section. That’s Leonard, Van’s mom, Tennie Mullins McCormick, an employee Van didn’t know, and Nadine Hawkins, the drape designer. Rolls of fabric just like these still cover the walls of both ends of the building. 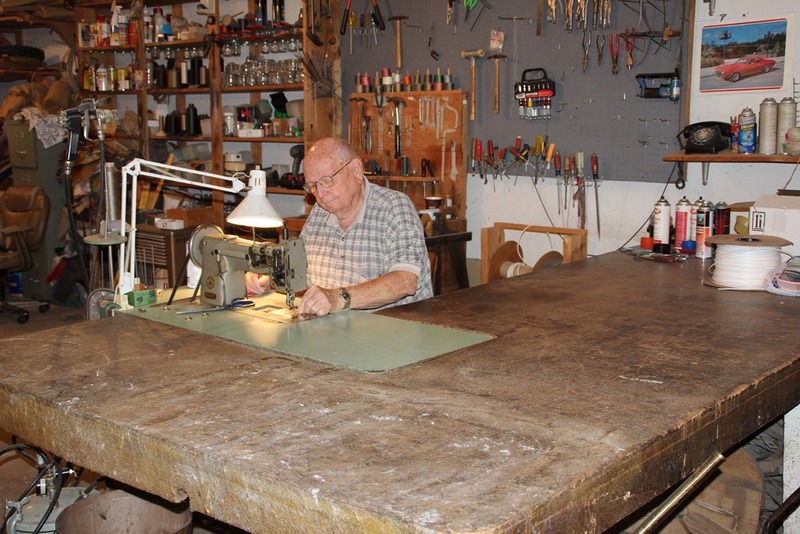 Three large work tables provide ample space for spreading out fabric for the drapes (drapes that he chose not to tackle any more after Nadine retired) as well as cutting pieces for re-upholstering the furniture. 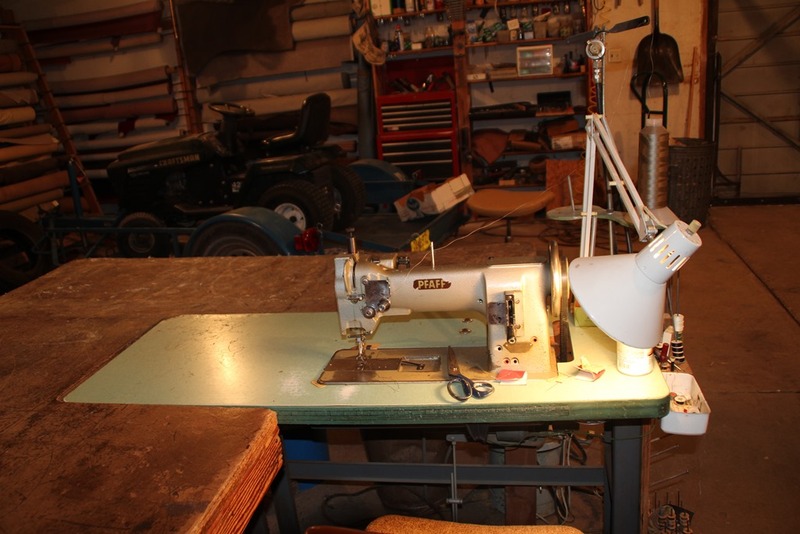 Van has three sewing machines, but said he uses this Pfaff more often than the other machines. 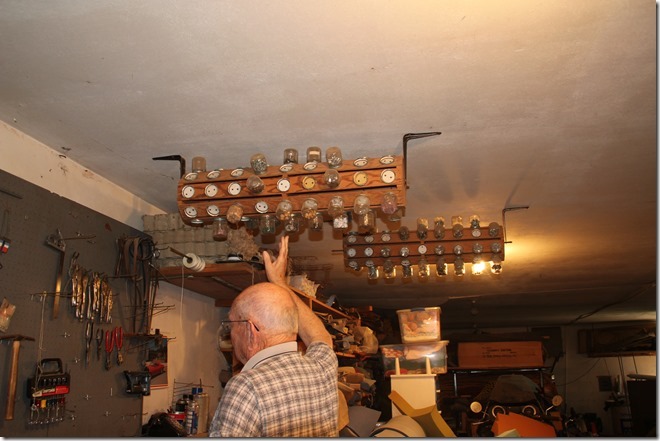 I noticed what looked like baby food jars full of screws and other hardware mounted on rollers hanging from the ceiling. 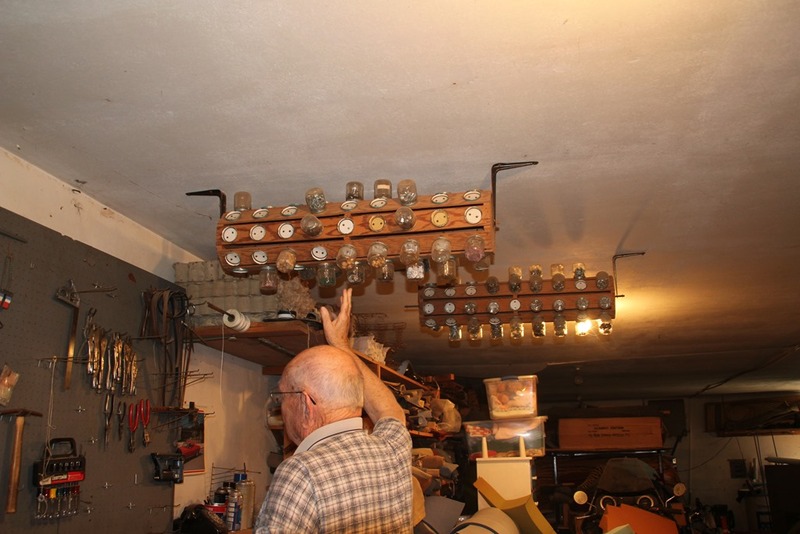 He said he came up with that method of organizing the small stuff, and those are baby food jars. But then the baby food people changed the size of the lids or the shape of the jars and the lids wouldn’t fit any more. So now they just sit in rows on the shelf. I asked him what makes some jobs harder than others, and he said furniture requiring tufting of the material is time-consuming and tedious. Furniture with a curved back or arms are more difficult. 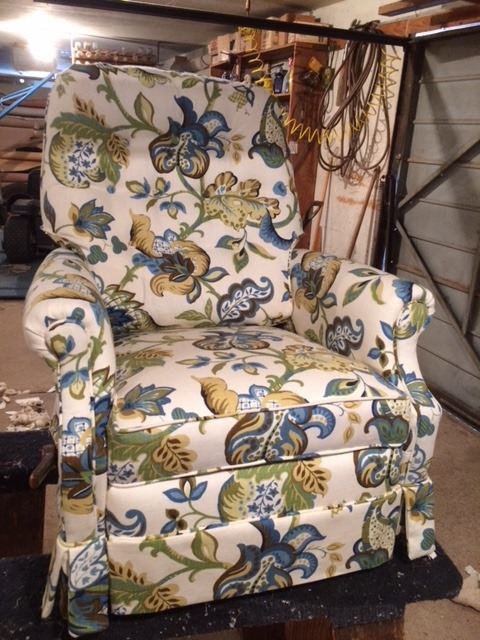 Matching patterns takes more time, but doing it right makes the finished piece much nicer. Thinner material that frays easily and light-colored fabric like on this chair are difficult to work with. He said his mom always told him, do whatever you do like you are working for Jesus, so do your best. And he does. Which means they don’t cut corners or take shortcuts. Everything is taken off down to the springs and redone. Foam is steamed to make it fluffier; springs are repaired or replaced. Patterns are matched. There has never been any need to advertise; those jobs well done still speak volumes, and they are never without furniture to work on. In fact, Van said people from out of state have always been willing to make the trip to Muleshoe to bring furniture to be redone and then come to take it back home, so McCormick-upholstered pieces are all over the U.S.
Not surprisingly, it will be the people- friends, fellow coffee drinkers and customers, that Van expects to miss the most after the move. He said he always enjoyed delivering a finished piece to a satisfied customer who will continue to enjoy the furniture. 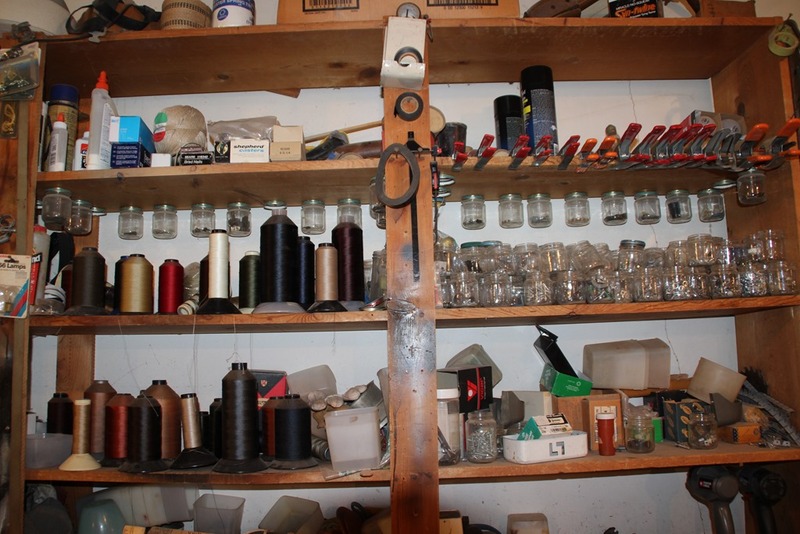 The plan is to perhaps do some preaching after the move, and since he will take some of his equipment and fabric with him, still do a few projects occasionally. That made me laugh-the occasionally part-because people will find out he is good at what he does and start bringing over furniture for repair at his new home. Ha! I’ll bet people from Muleshoe will ferret him out and still ask him to refresh pieces for them. I might add here that Abilene became the destination of choice so he and Betty can be across the street from their son Eddie and his family. Daughters Vanna and her family live in Lexington Park, Maryland, and Veta and her family live in Greeley, Colorado, all supplying Van and Betty with eleven grandkids and six great-grands that they visit as often as possible. The move is imminent, but until a few things are settled and ready in Abilene, he and Betty will be here for a while and he will keep on working. So go by and wish him well; Van McCormick won’t be gracing this doorway much longer. 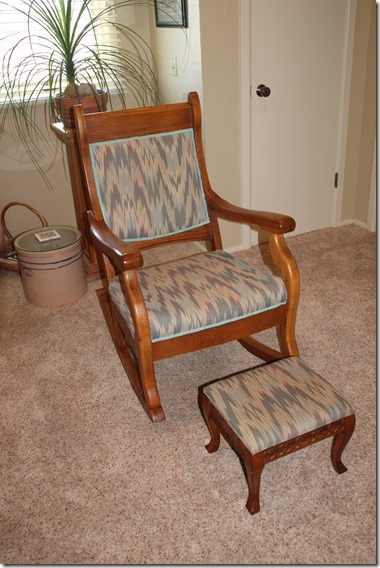 I am glad I will have my rocking chair as testament to his good work and a reminder of his friendship. Have a great life, Mr. McCormick. Thanks for sharing yours with all of us. What a blessing to be related to Van and Bettye.Weyand was Van’s first cousin.Through the years we had things repaired and chairs covered and drapes made,Van and Bettye,May God’s richest blessings go with you.Thank you forthe love you have shown to us,and especially to Jeffrey,you have mentored,guided,and loved him for many years there in Muleshoe.I love you! I enjoyed writing the story and learning things about Mr. McCormick I did not know. Thanks for reading. He reupholstered the front seats in my 1968 Cougar. I’m not surprised! I think he could redo anything. Thanks for reading. Thank you for writing this! I am his oldest grandaughter, and will miss visiting the shop and Muleshoe. This is a wonderful tribute. He is a special man. He taught me a lot about what a good work ethic looks like. It is nice, and not surprising, to know how loved and reapected he is in that community. Thank you both for reading. I can imagine the hide and seek adventures that would play out in the shop! Muleshoe will miss him, too. I really enjoyed reading this story about my grandpa! Thank you for your thoughtful tribute. 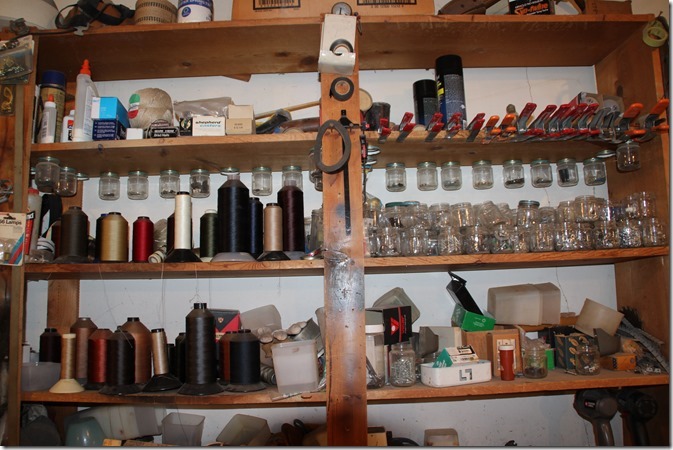 I will miss visiting the Upholstery shop. I have many childhood memories of “helping” grandpa with furniture. 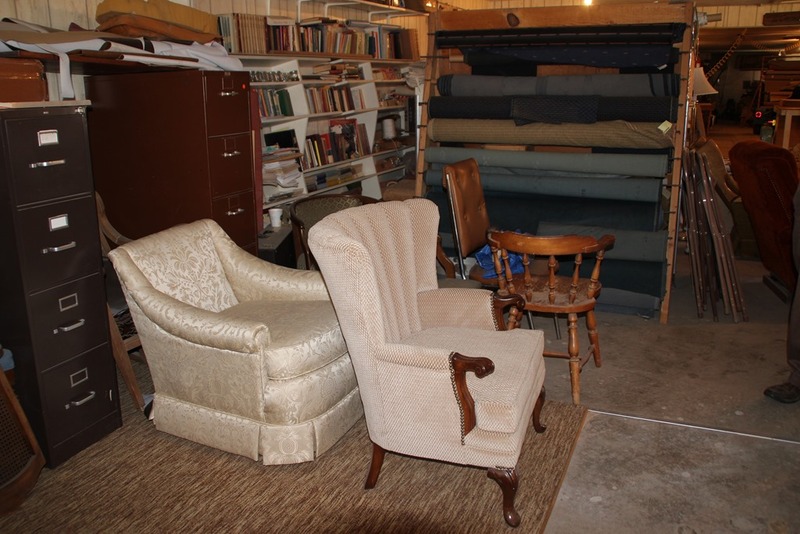 All of us grandkids have spent hours and hours playing hide-and-seek in the rolls of fabric in the back of the shop and made animals out of the foam pieces he uses for padding furniture. 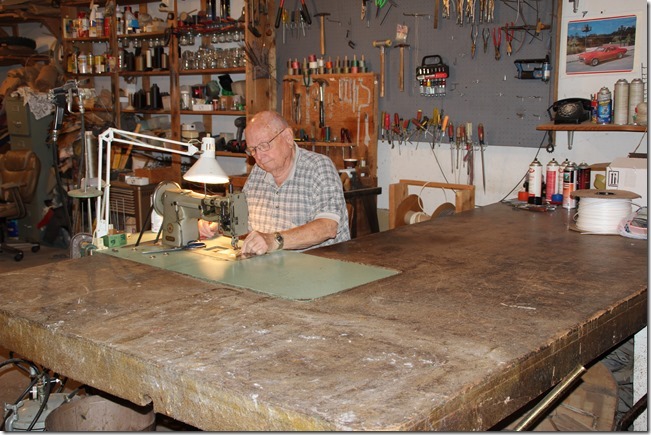 If you’ve ever tried even the smallest upholstery project, you know the value of a good upholsterer. This is a lovely tribute to a true craftsman. Yes, Mr. McCormick is a true craftsman. We will miss him. Really enjoyed this article and especially the photos! I, along with most of the grandkids of Leonard & Tennie McCormick, loved visiting the upholstery shop. We all remember Grandpa letting us get a coke from the old coke machine. 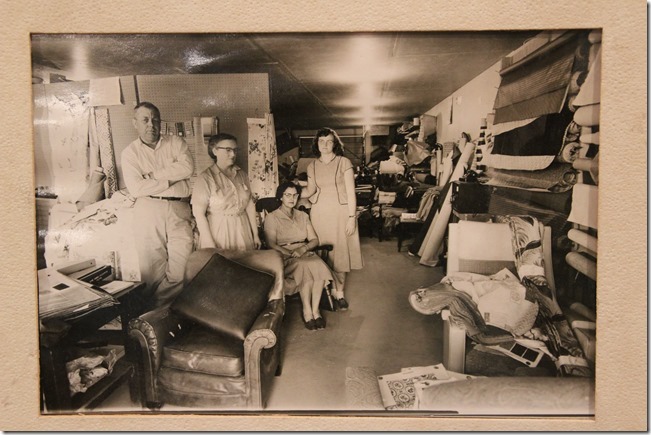 Van and Bettye were such a blessing to Grandpa and Grandmother in the running of the business and always taking care of them when they needed it. Grandmother taught me and three of my girl cousins to sew on the upholstery sewing machines. Wish my grandkids could enjoy “the shop” as we called it like I did. Thanks for reading, Twila. I can imagine the fun you had at the shop.